Are you considering using LinkedIn’s Profinder, a freelance marketplace, to get more business leads? Or have you been struggling to be successful there? Check these LinkedIn ProFinder Reviews by freelance pros. Learn numerical results of three Midwest freelance pros who have tested ProFinder for several months. Also, find best practices to improve your ProFinder results. 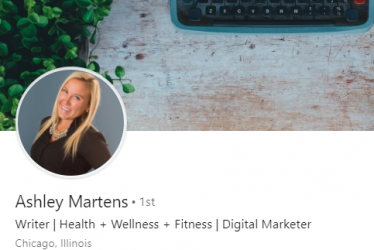 Ashley Martins owns Three To Five A Day, a health and wellness business serving food manufacturers, retailers and blogs. She also does social media, but not social ads. She tried ProFinder for three months and got 40 requests for proposal. Unfortunately, 27 of them were outside her niche — ghostwriting books, strategy, catalog and ad copy. Ten more were for social, but mostly Facebook ads, which she does not offer. Of the three that were relevant, she submitted one proposal and did not get it. 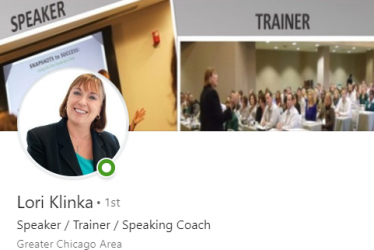 Lori Klinka of LoriKlinka.com is a public speaking and interview coach who can work virtually. She is also a trainer and keynote speaker. Last year she submitted 10 proposal requests but “got nothing, not even a response.” She now gets 10-25 requests a day for job interview coaching. She plans to try ProFinder for the next two months hoping to have a better response rate. Jennifer Barncard, with Popsicle Marketing, does digital, social and traditional marketing. In three months, she received 31 requests. Of those, ten expired before she could get to her email to respond. She passed on seven. Of the 14 remaining, she had five proposals viewed without response, six unread, one declined and two are in conversation. SCORE 31 requests/2 business possibilities. Note that all three women are all within a 100 mile radius of Chicago. The experience of other pros in different regions and in different skill area will be different. Will it work for you? You have to try it. I want to thank Ashley, Lori and Jennifer for sharing their results. Pros need to be able to refine their industry and service preferences. They need to be able to block certain keywords so they get more relevant requests. LinkedIn needs to change the ProFinder business model so that freelancers pay a fee when they get either an email or phone contact, or a job, not for the privilege of being showcased. As it stands now, the freelance pros bear all the risk. How Can Pros Get Better Results Now? 1. Make sure your profile and proposals follow best practices. 2. Consider ProFinder a marketing channel as well as a lead channel. The pro Pat Roque, a career and leadership coach, does. 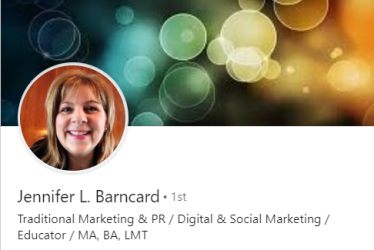 Is someone does not respond, she searches for them in LinkedIn itself by their title and then matches the photo. She invites them to connect in LinkedIn itself. If they do, she shares a useful resource like an ebook or checklist related to their request. Have you tried ProFinder? It’s free for 10 proposal requests! I’m collecting everyone’s experiences. If you have tried to get business thru ProFinder, please leave me a comment on how it has worked out for you. Or try it and come back to report.